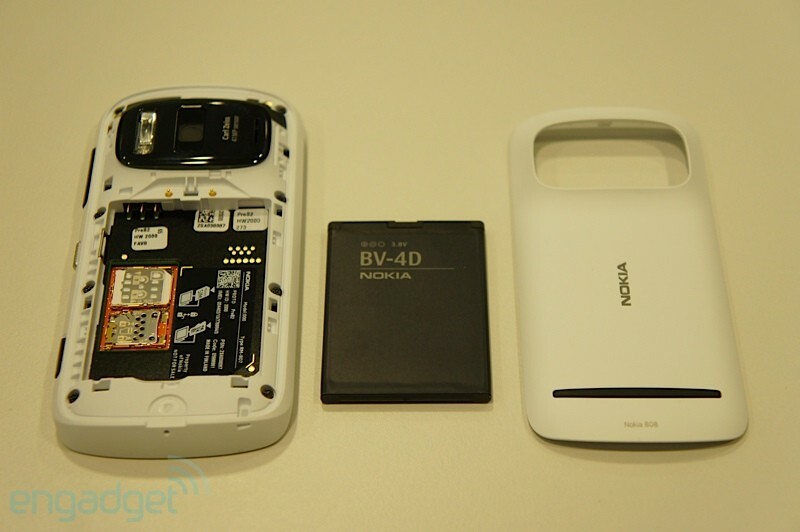 Here’s a look at the inside of the Nokia 808 PureView. The battery, as requested by users, is user removable. The SIM Tray looks to normal but it appears to be microSIM with microSD right next to it. This means no hot swap of either cards, but I’ve never really had the need to continuously remove the memory card for this to be an issue. I can’t find in the official specs mention of microSIM. Cheers Mariano for the tip! Not sure what engadget post it came from (is it a localised variant) but the watermark says somewhere in engadget anyways.